'Birdnesting' gives kids one stable home after a divorce. Does it work? Experts weigh in on the pros and cons of 'birdnesting' or 'nesting' after a divorce, the latest in conscious uncoupling. No matter how you spin it, getting divorced is tough — especially if you have kids. Even if the decision to part ways is clearly the best (or only) one, the resulting separation can be traumatizing for children. Research shows that the best way to avoid risking the well-being of kids going through this difficult process, is to keep it as low-conflict and amicable as possible. How do you do that? For some divorcing or divorced parents, the answer is ‘nesting’ (also called 'birdnesting'). This means to keep the family residence intact as a home where both parents rotate living with their children, while otherwise dwelling in separate residences. Sherri Sharma, partner at Aronson, Mayefsky & Sloan, LLP, a matrimonial law firm in NYC typically sees divorcing parents who take a nesting approach by keeping the main house and then sharing a separate apartment, which they individually occupy when not “at home” with the children. Sharma has seen nesting work out well for clients who are parting amicably, but only if it’s done in the short-term. Dr. Fran Walfish, a family and relationship psychotherapist and the author of “The Self-Aware Parent: Resolving Conflict and Building a Better Bond with Your Child” concurs with Sharma on a short-term nesting plan, and actually finds this method to be beneficial to children. She caps it at three months. 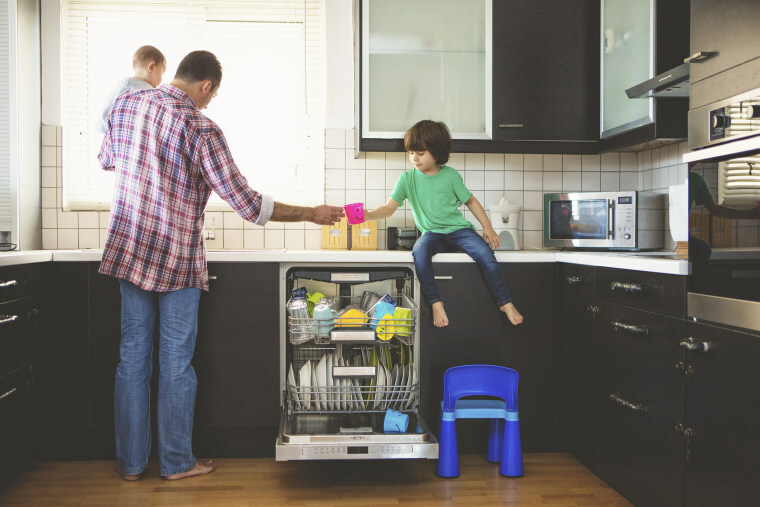 Celeste Viciere, a licensed mental health clinician finds that nesting can benefit children both socially, and when it comes to practical everyday stuff. But Viciere, too, sees the downsides of nesting. Shelley A. Senterfitt, a family lawyer-turned-therapist specializing in family law issues and relationships, does not recommend nesting as she finds that it can create opportunity for the very kind of conflict divorcing parents are trying to avoid. All that said, Senterfitt still does see nesting sometimes pan out successfully for the very short-term. Even if you do want to give nesting a try, it’s not always a feasible plan. Money is key (along with figuring out who will maintain the costs of the familial home as well as that additional rotating apartment), as is a supremely calm and committed attitude which calls to mind the “conscious uncoupling” method made famous by Gwyneth Paltrow and Chris Martin in their apparently gracious divorce and co-parenting system. Nesting or not, consider what you should do to put your children’s well-being and mental health first if divorcing. "Keep structure and routine the same in both homes. Maintain the same bedtime, mealtimes, wakeup time, homework schedule and extracurricular activities. The more stable your child's life and routine, the less separation anxiety they will suffer. Keep rules, expectations, and consequences the same in both homes. When parents are able to do this effectively we see a reduction of angry behavior and emotional problems in teens. Keep their school the same. [If possible] don't also move and change your child's home and school at the same time [as divorcing]. To lose the continuity of the same friends, teachers, campus and overall school environment could be even more traumatic for your child who must adjust to the divorce shakeup. Nurture, nourish, and facilitate ongoing relationships for your teen with extended family members. When parents divorce, sometimes kids lose their cousins, aunts and uncles on one or both sides of the family. The more people who love and care about your kids the less painful the divorce will be. Allow your child to be loved by many people.